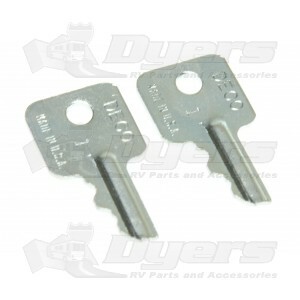 Use these replacement keys for many popular cam locks including those on your original hatches and access doors. 2 per pack. The "Deco" key is stamped "1" on the main key plate.